There's something I love about the Pledge of Allegiance. I remember standing up to recite it at the beginning of each school day as a child and feeling moved by the sense of unity and loyalty I felt toward my country and my friends and neighbors. I'm always moved by that enormous sense of community when I think about our dear old USA. This is not to say that I think the United States has all the answers or that we do everything right. Of course every country in this great big world has its own traditions and rules and ideas about how things should be. And there are plenty of times that I don't agree with the way the big US of A is dealing with things on the whole. But I think we all (everyone in the world, I mean) try to do our best as we learn and grow. I think, at the heart of it all, we're a nation of good people who try to work together and help each day be a little better and a little brighter than the one before. I think we could safely say the same about the people in any nation. This is a great big world full of so many good, wonderful people doing good, wonderful things. I also enjoyed reading a little bit of the history behind the Pledge of Allegiance on Wikipedia. Did you know that it was first published in a children's magazine to help promote a Columbus Day celebration? Or that it was written in 1892, 400 years after Columbus landed in the Americas? I don't know nearly enough history and I'm always fascinated by it. 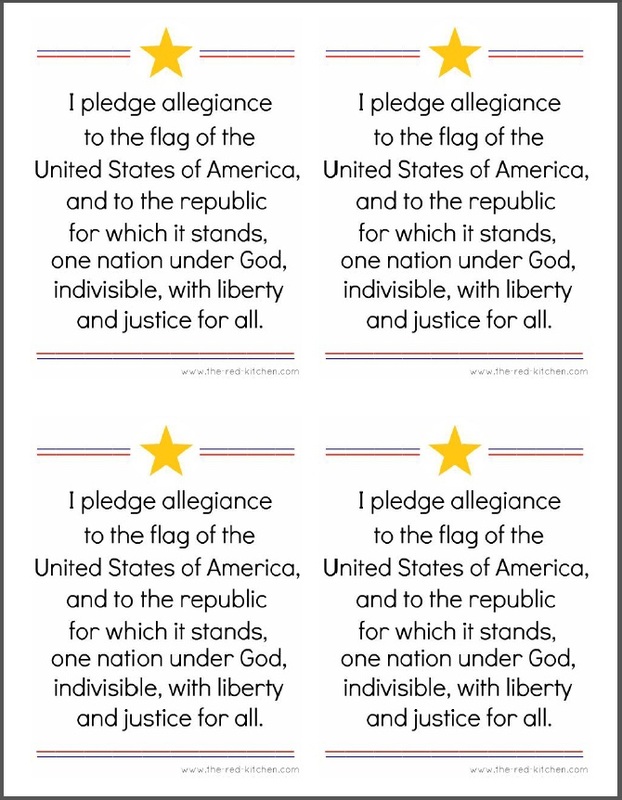 Anyway, to help Olivia (and me) learn the Pledge of Allegiance while we say it during our preschool time together each day, I created a couple of simple printables. 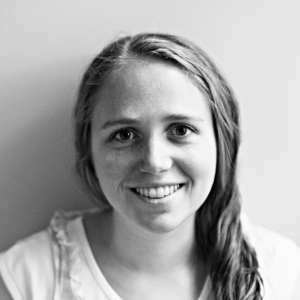 UPDATE: Watch Olivia saying The Pledge of Allegiance all by herself HERE. One is the full-page printable. The other printable is the same design, but with 4 per page. The smaller versions would be great for giving to kids to keep at their desk. 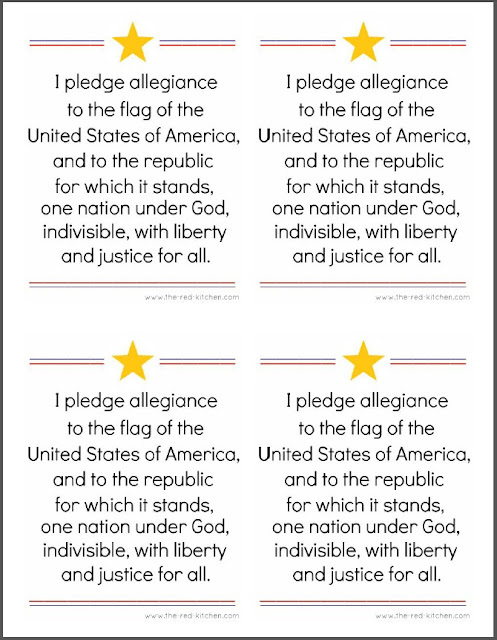 I hope these will be helpful to you parents at teachers as you teach the Pledge of Allegiance in your homes and classrooms during the upcoming school year! Get the free printables after the jump! 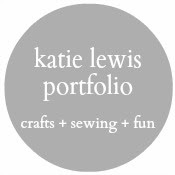 If you'd like to link to these free printables (Thank you!) please link to this post and not directly to the printables themselves. Thank you! 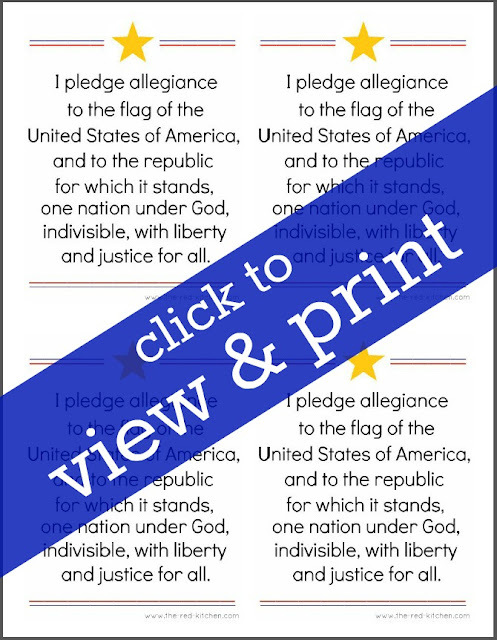 Click HERE or on the above image to view and print the Pledge of Allegiance printable (1 per page). This printable is made to fit 8 1/2" x 11" paper. 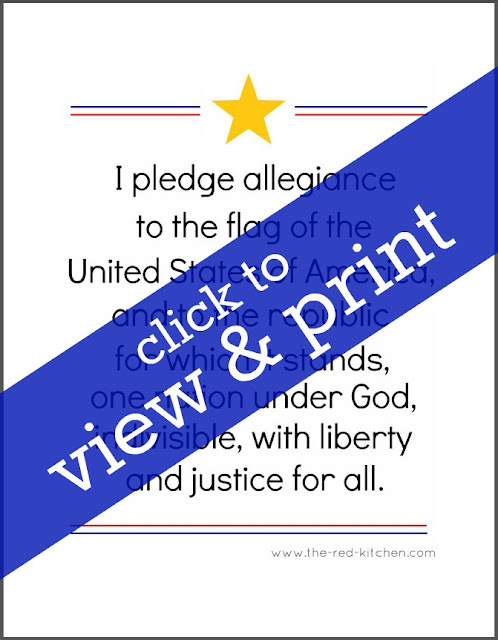 Click HERE or on the above image to view and print the Pledge of Allegiance printable (4 per page). This printable is made to fit 4 up on 8 1/2" x 11" paper. and p.s. 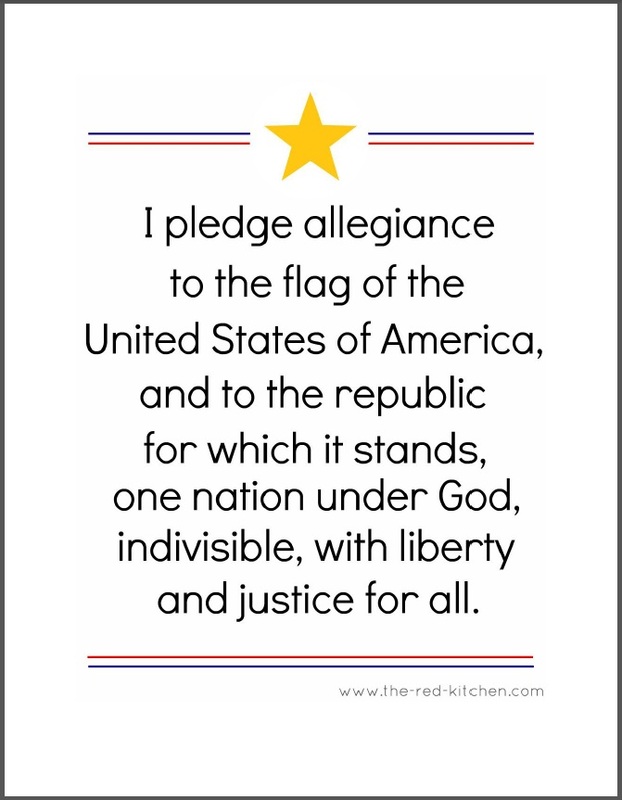 you forgot about the Texas pledge...honor the Texas flag, I pledge allegiance to thee, Texas one and indivisible...I had to recite that every day of school after the normal pledge!